My internal season gauge is all messed up (going from endless summer back to normal fall and then plunging back into summer again will do that to you). I looked at a calendar this weekend and seeing “Thanksgiving” coming in two weeks was quite the shock. Thanksgiving? Already? How are we here already? 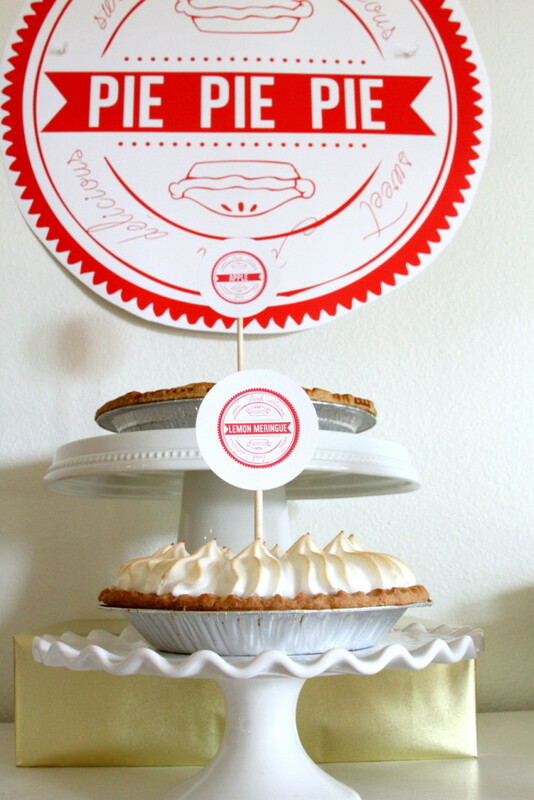 Which brings me to this Pie Bar- aka- the thing you need to add to your Thanksgiving spread! 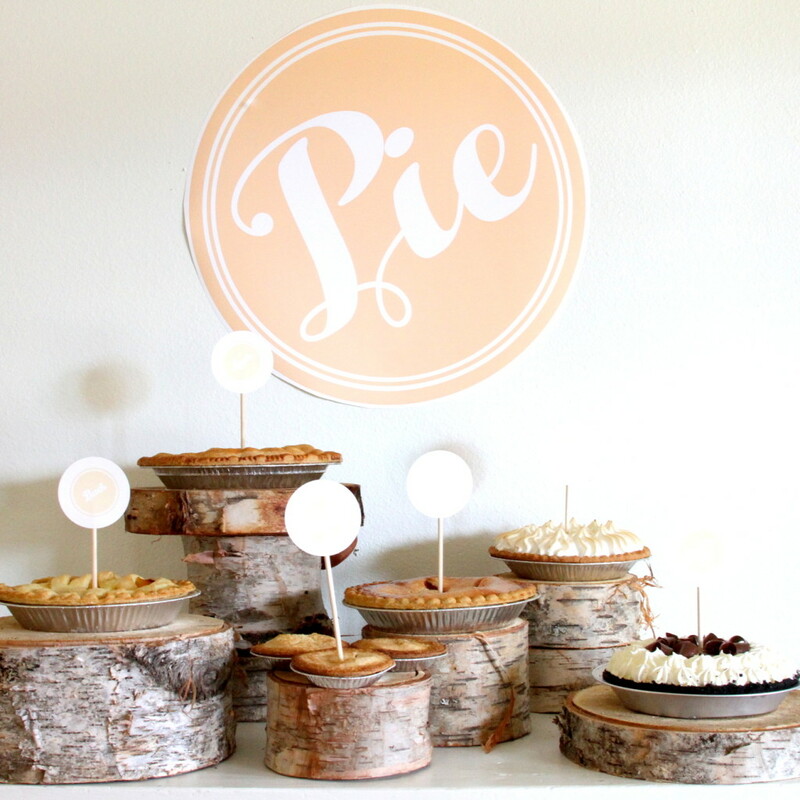 Pretty much it is just what you’d normally do for Thanksgiving dessert, but with a couple more pies and a big ol’ “Pie” sign. 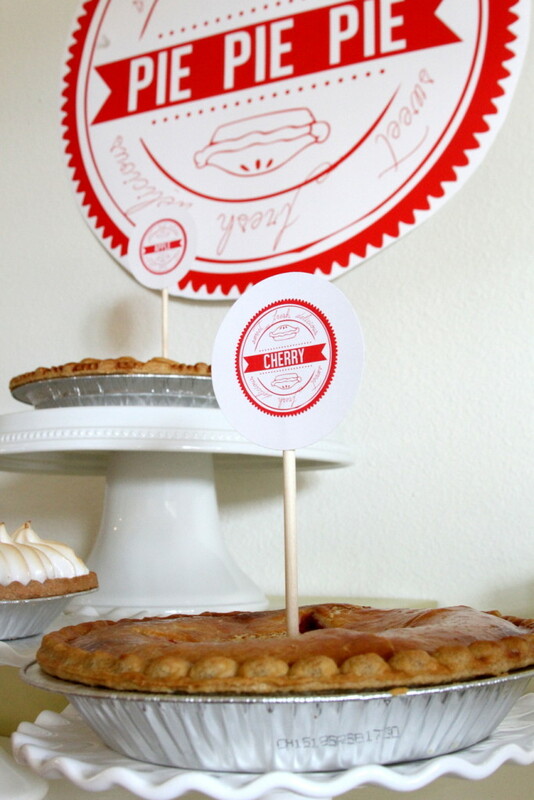 Extra pies are always a good idea, Thanksgiving and otherwise. So, yep. 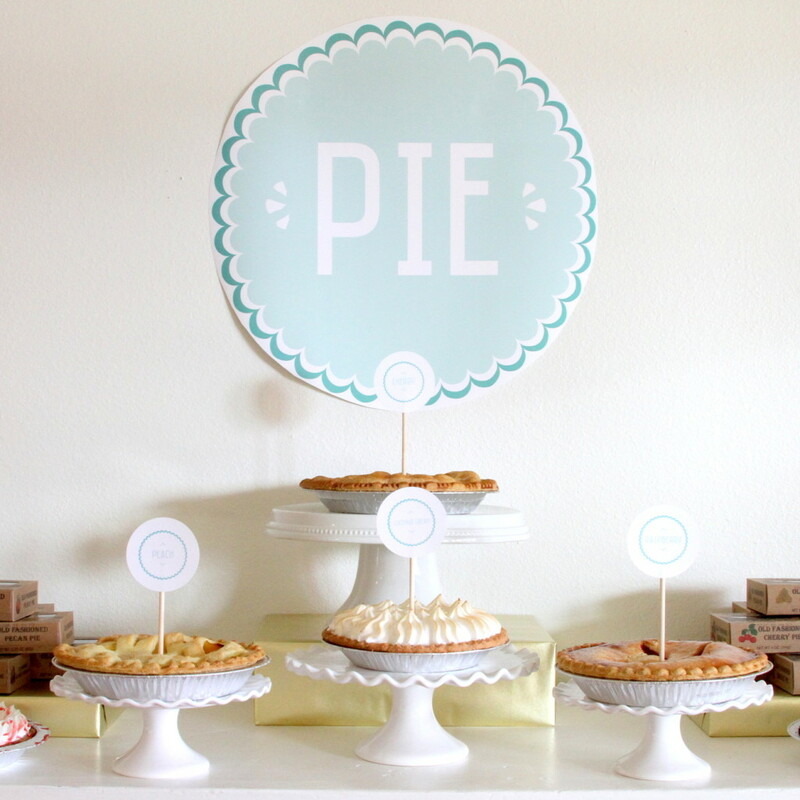 Gather yourself a bunch of pies, and a bunch of wooden rounds or cake stands, depending on the look you’re going for, print out a color engineer “Pie” sign at Staples for $5 and you just made you Thanksgiving a little sweeter (couldn’t help myself- haha)! 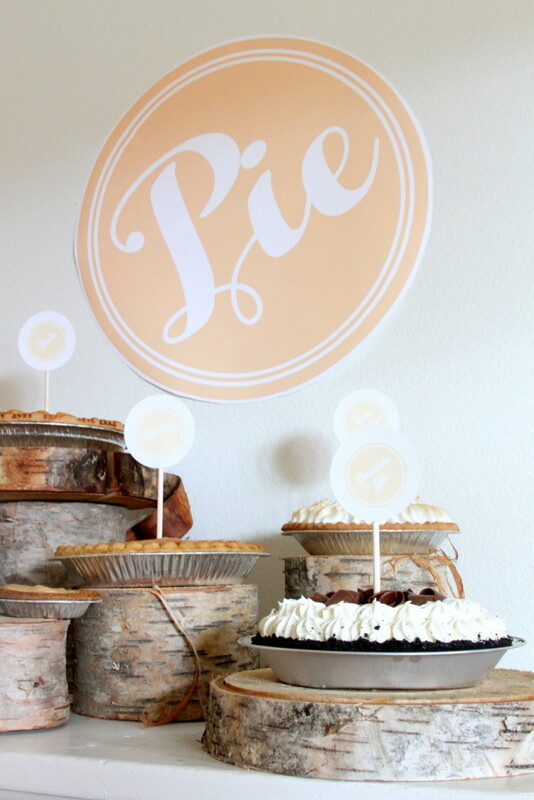 In the spirit of generosity and sharing and Thanksgiving, I’m even making the Pie Poster downloads FREE until Thanksgiving (the peach one is available now and I’ll get the other two up as soon as Saipan’s crazy slow internet cooperates)! Fun, right?